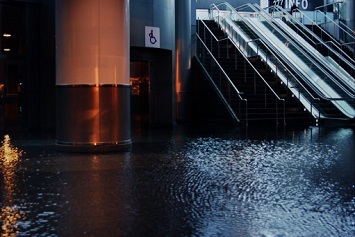 Once your designated planning team comprises emergency action plans, you must also establish emergency protocols and offer your employees resources regarding what they can and should do in the case of an emergency or natural disaster. Make sure your emergency protocols are crystal clear, and be sure to promote them across your organization. If you create plans and protocols but never notify your employees and keep them updated of any changes, the plans won’t ultimately serve a purpose. Employees must always be aware of all emergency plans and protocols, as well as resources, if they’re to remain safe. Conduct safety drills at least once a year to keep employees safe, especially fire drills. If you’re in an area that regularly endures tornadoes, make sure your employees know exactly what to do if a tornado occurs. If your establishment handles chemicals, explosives, or other hazardous materials, drill your employees annually to make sure they know exactly what to do in case something goes wrong, and so on. It is important that employees experience real-life examples of what to do in case of an emergency or disaster, not just read information from a manual or information packet. Make sure your establishments are always equipped with hurricane kits if you live in an area that regularly sees hurricanes. If your employees handle hazardous materials, make sure they have access to kits that contain the appropriate and nonexpired supplies to tend to chemical burns or other injuries, and so on. And always make sure that you conduct first-aid training sessions on a regular basis so that your employees know what to do if and when someone needs immediate medical attention, stops breathing, etc. Overall, your employees, especially your designated teams, should know exactly where your emergency supplies are, what they are, and how to use them. Have a well-planned and -designed evacuation plan in place. You might have to evacuate your employees if there is a fire, if there is an active shooter, if there is a natural disaster, and so on. Be sure to come up with clear procedures and policies that employees are aware of, and make sure they understand precisely what they need to do in case of an emergency evacuation so that panic is mitigated. Additionally, make sure you have a postevacuation plan so that you can make sure all are accounted for and safe once they’re evacuated from a building or premises. Make sure you have a reliable emergency notification system in place. Employees should be notified via text or intercom if an emergency or disaster is happening. And the appropriate authorities will need to be notified when an emergency occurs too. Having a well-operating emergency notification system in place can mean the difference between life and death for many. As you develop your emergency plans, policies, and procedures, be sure to follow the tips and best practices listed above and in yesterday’s post if you want to ensure your employees are prepared and safe.